Most people in today’s technology-driven society spend most of their time behind desks. This contributes to a lot of back and neck pain which can affect both the productivity and health of the workers. Because of that, the one thing that employers should consider is equipping the work space with ergonomic office chairs. 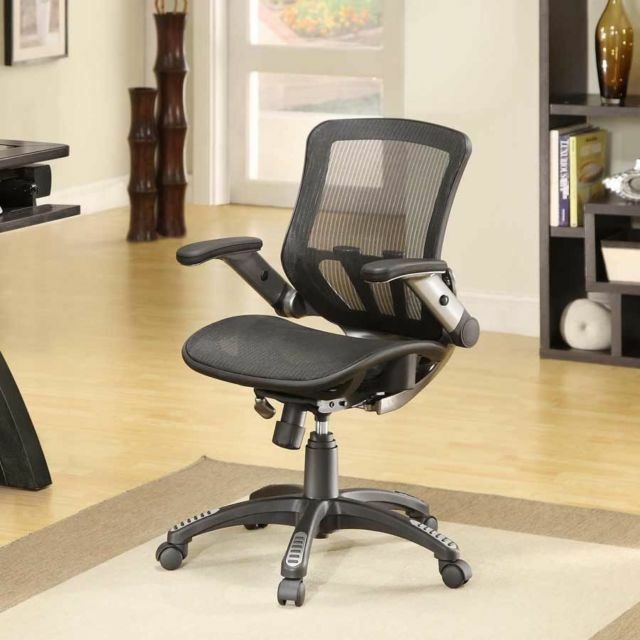 High-quality office chairs come with many benefits and functions. Here are the details you need to know. First, material. Optimal comfort would not be possible if the material of the office chairs is of poor quality. An example of breathable and durable chairs are ones made with mesh. High-quality mesh office chairs enable airflow thus helping employees feel cool and dry as they sit and work. Other types of office chairs usually retain the heat which can make users sweaty and uncomfortable. One thing that you may not expect at a first glance from mesh made office chairs is sturdiness. However, even though the fabric is thin, it is strong and woven tightly and as a result, it takes many years to wear down. Lastly, mesh chairs have a slim design and appealing construction. If you opt to furnish your office with mesh office chairs you will turn it into a modern work environment with a touch of minimalism. Second, ergonomics. None of the above-mentioned features would matter if the chair doesn’t provide proper body support. Luckily, most mesh office chairs are ergonomically shaped, with the mesh back curved in a way that makes the employee sit properly with ease. Ergonomic office chairs can diminish or prevent back pain by decreasing the pressure on the spine. Moreover, high-quality mash chairs are adjustable and can suit every body shape and personal seating preferences. Adjustment means that the user can adjust the tension, the backrest and the armrests in order to achieve maximum comfort and support. For maximizing comfort when sitting is prolonged, there are mesh chairs that come with Zero Pressure foam and seat slider for seat depth adjustment. Last but not least comes appreciation. Each employee will appreciate your willingness to make them feel good while at work. Proper support goes a long way when it comes to the overall health, and investing in a healthy and comfortable work environment shows and proves that the company cares, a fact that will surely motivate your employees and make them feel like they are a part of a great team.